The BabyBjörn Travel Cot Easy Go makes travelling with baby a snap. For decades, Swedish baby products company BabyBjörn has created baby products that help make the everyday lives of families easier. 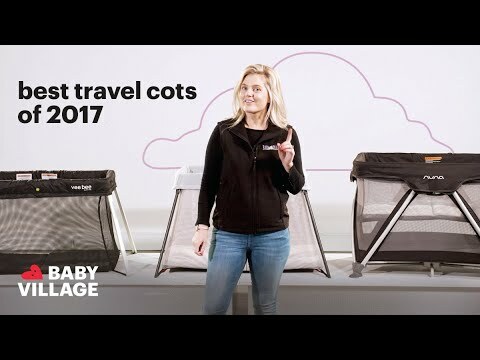 To make travelling with little ones more convenient BabyBjörn now introduces the new Travel Cot Easy Go; a compact, portable baby bed that folds out instantly and weighs only 6kgs. Extremely lightweight and with a practical assembly that involves just a single movement, the BabyBjörn Travel Cot Easy Go combines the efficiency and function parents need when travelling with babies and small children. A practical carrying case which features easy-to-grip handles makes it easy to tote and even check in at air ports. AGE: From newborn to approximately 3 years, or until your child can climb out of the travel cot.